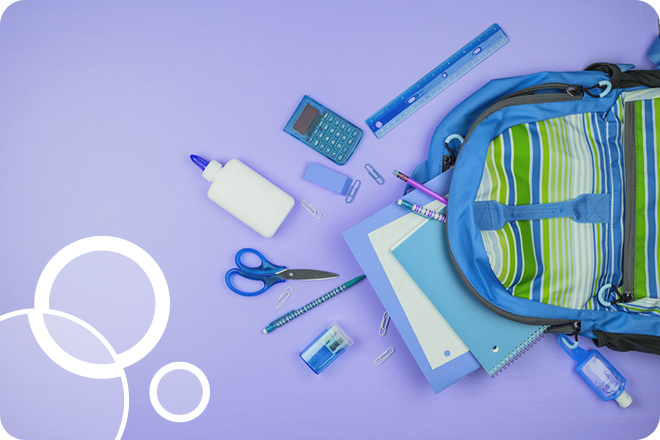 15 cleaning odd jobs that will prepare your home for back-to-school. Cleaning out your cabinets, discarding all food items that have gone past their freshness dates and moving older items to the front to ensure they get used first. Deep cleaning your refrigerator and freezer. This is actually recommended six to 12 times per year; pre back-to-school should definitely be one of those times. Organizing food storage solutions – sort and neatly stack food containers and lids, discard stained and orphaned items and stock up on freezer, sandwich and snack bags. Giving your recipe book/box a good purge and sort. The process will inspire meal and snack diversity by reminding you of recipes you haven’t made in a while and making space for new easy and nutritious meal ideas. Taking an annual foray through your linens closet; inspecting and either discarding worn or rarely used items or converting for other uses such as storage padding and cleaning. Setting up folders for keeping new content organized and easy to locate. Assigning specific places where frequently used items will be considered ‘put away’. Educating family members about where those places are, so they can be effective when asked to help tidy up. Kids young and old need snacks in between meals to keep their bodies healthy and running strong. Making sure those snacks are healthy and provide kids with the nutrients they need to study and learn isn’t always easy, especially for parents who don’t have loads of time to prepare snacks and have kids who are picky about what they eat. Luckily, there are loads of snacks out there that are not only easy to prepare but also provide health benefits your kids need– all while tasting delicious. Check out this list for some great recipes and ideas that will have your kids snacking healthy and loving it. These tried and true classics will provide healthy sustenance for your kids. Better yet, many require little or no preparation. Chips and salsa. Baked tortilla chips paired with a healthy, fresh salsa is a great lo-cal snack for kids and adults alike. Yogurt pops. Throw out the sugary, unhealthy popsicles your kids are currently eating and replace them with these healthy, yogurty ones instead. Homemade trail mix. Some trail mixes come complete with ingredients that are too salty or sweet to be healthy. By making yours at home, you can control what goes into the mix. Cereal bars. If you’re on-the-go and need a quick snack for your kids, try a pre-packaged cereal bar. While there are healthier options out there, these will definitely work in a pinch. Yogurt. Lucky for parents, there are tons of brands of yogurt out there that are packaged and marketed to kids, helping them want to eat this healthy and delicious snack. Granola bars. Make your kids this grain-filled snack at home to give them a boost. Graham crackers. A few of the whole wheat variety of these crackers can make a sweet and delicious snack for kids. Cottage cheese. Try out this curdy food with your kids as an after school snack. A few slices of fruit on top can also be a great addition. Unsweetened applesauce. It might not pack the punch that its heavily sweetened cousin does, but unsweetened applesauce can still be a snack kids enjoy. Fruit cups. When you’re in a hurry, fruit cups can be a lifesaver. Make sure you look for those packed with water or light syrup so you won’t pump your kids full of sugar, however. Enterprising parents can make and prepare their own at home in advance as well. Fruit can be a great way to indulge your child’s sweet tooth in a healthy way. Try out these kid-approved ideas for fruity after school snacks. Cherries with Brown Sugar Dip. If cherries are in season why not whip up this dish? Put a little brown sugar on some yogurt to create a yummy dipping sauce for kids. Sliced apples. One of the most basic snacks out there is still a great choice for those with kids. Frozen grapes. Turn up the appeal of grapes by popping them in the freezer. They’ll be a cool and delicious treat kids will love. Orange sections. A peeled or cut orange offers up loads of vitamins and flavor for kids. Pear pinwheels. Pears are a great healthy snack and you can make them even more fun for kids with this snack idea. Apples and peanut butter. Give your apple a dose of protein by offering kids peanut butter for dipping sauce. Fruit salad. Parents can make up a fruit salad in advance and dole it out to kids after school for a healthy and delicious snack. Fruit and yogurt parfait. Alternate fruit and yogurt in a glass and top with granola to create this snack. Mixed berries. Berries are packed with antioxidants and vitamins, so giving your child a mix of blueberries, raspberries, blackberries and strawberries can be a great way to get nutrition into his or her diet. Pomegranate. Pomegranates are fun for kids to eat and also pack a heck of a nutritional punch. Bananas. Bananas are great because they are extremely portable, easy to eat and healthy to boot. Pair them with peanut butter for an added boost. Apple puzzle. Make your child’s apple into a fun game they’ll love eating with this snack idea. Fruit juice. While you’ll need to watch out for sugar content, juice with 100% real fruit can be a great snack for kids. Melon balls. If melons are in season, create fun melon balls for kids to snack on or put them on a skewer for fruit kebabs. Fruity salsa. Salsa doesn’t always have to be savory. Try out this fruity, healthy and yummy salsa with your kids. Fill your kids up on these healthy, veggie-based snacks instead of junk food. Carrots with peanut dipping sauce. Spice up plain old carrot stick with this recipe for a tasty dipping sauce. Cucumber yogurt boats. Turn cucumbers into a fun and playful experience for your kids with this great snack idea. Veggies and hummus. Get kids the veggies they need with a healthy dose of protein by pairing hummus with them. Edamame. Kids will have fun getting these soy beans out of their shells. Simply steam, salt and serve. Ants on a log. Make eating right fun with this classic, playful snack of raisins, peanut butter and celery. Pickles. If your kids are longing for something salty, let them have a few of these healthy dills. For pickles on the go, consider Pickle Packs. Celery and carrot sticks. Paired with a veggie dip, your kids won’t be able to resist eating their veggies. Veggie chips. Get away from the potato and feed your kids chips made with more nutrient rich foods. Better yet, make your own. Baked sweet potato fries. Low in calories and fat and high on taste and nutrition, your kids will enjoy these fun fries that are simple to make. Corn on the cob. Let your kids feel like it’s summertime anytime with frozen corn on the cob. Olives. Not all kids love olives but those that do will love sticking the treats on their fingers and eating them off. Just make sure they don’t eat too many, as olives are high in salt. Pita chips and guacamole. Avocados are packed with healthy fats so let your kids indulge with a few baked pita chips. Lettuce wraps. Wrap up veggies and low fat snacks with lettuce for a healthy after school meal. Whole grains will help keep your kids fuller for longer, making the most of snack time. Whole grain bread and peanut butter. A simple piece of toast with peanut butter can make for a great after school snack. Whole wheat pretzels.Pretzels can actually be a healthy snack for kids if you go for the whole wheat kind. Whole grain crackers. Crackers that are made of whole grains paired with cheese or peanut butter can make for a good snack, just make sure to watch out for salt and fat content. Whole wheat mini-bagels. These tiny bagels will fill your kids up with whole grains and are fun to eat. Sandwich on whole grain bread. A small sandwich or half sandwich can help stave off hunger until dinnertime. Soft pretzels. When you make these treats at home, use whole wheat flour for a healthier pretzel. Goldfish crackers. This brand of cute goldfish-shaped crackers now makes them in the whole wheat variety– perfect for healthy kids. Pita crisps. Stick some whole-wheat pitas in the oven to make this fun and healthy snack. Multigrain waffles. Craving breakfast for a snack? A waffle topped with jelly or peanut butter is a healthy option. These snacks deliver nutrients by the handful. Sunflower seeds. Kids will love chewing up and spitting out these seeds. Unsalted nuts. Skip the salt to make nuts a healthy snack for kids. Plain popcorn. Popcorn can feel like a special treat, but without loads of butter and salt it’s actually a pretty healthy snack. Cereal. Healthy, dry cereals like Cheerios can make a good after school meal. Rice cakes. Rice cakes come in lots of flavors to meet the nutritional and taste needs of your kids. Pumpkin seeds. In the fall, roast up pumpkin seeds to get a healthy snack. Granola. You can make your own granola and kids will love helping and sampling the results. Raisins. Give your kids a little box of raisins for a snack. Fruit leather. Fruit that has been flattened and dried can make for a healthier alternative to fruit roll-ups. Dried fruit. Bananas, pineapple, mangoes and more are available dried and ready to snack on. Toasted almonds. Almonds pack a healthy repertoire of nutrients, so you won’t feel guilty about letting your kids snack on them. Smoothies are a great way to ensure kids get their daily intake of fruits and veggies. Banana Fruit Smoothie. Blend up a banana and milk to make this delicious smoothie. Grape and kiwi smoothie. Turn kiwis and grapes into a delicious drink using this recipe. Healthy milkshake. Want a healthy take on milkshakes? This recipe offers it up. Strawberry smoothie. Get all the healthy benefits of strawberries with this smoothie. Green smoothie. Kids not keen on veggies? Hide them in this tasty smoothie. Tropical smoothie. Help your after school snack feel like a day at the beach with this tropical blend. Berry smoothie. Berries in any form, even in a smoothie, are a great healthy snack for kids. Peach smoothie. If peaches are in season, blend them up using this recipe. Sometimes, kids just want a sweet treat. Here you’ll find some that will satiate their sweet tooth without being too unhealthy. Monkey bars. Kids will enjoy these healthy but sweet cookie bars. Walnut-raisin somersaults. This blend of fruit and nuts tastes so good kids won’t know it’s healthy. Juice jelly cubes. Turn those healthy juices into jiggling treats with this recipe. Peanut butter power balls. Give your kids a protein-fueled boost with these graham and peanut butter tidbits. Chocolate dipped bananas. Half of one of these chocolately bananas is a healthier way to eat something sweet. Microwave Apple Pudding. Turn an apple and cinnamon into something irresistible with this idea. Cranberry muffins. Making these cranberry muffins doesn’t mean you have to be culinary expert. Oatmeal cookies. If your kids want cookies, oatmeal is an alternative that offers up some nutrition. Sugar-free J-ello. It’s not the healthiest snack in the world, but it isn’t the worst either and it’s simple and easy to take with you. If you make it at home, put some fruit in it as well. Banana bread. Filled with bananas and nuts, kids will get nutrients when they snack on this bread. Carrot bars. Sneak carrots into a treat with this recipe. Try out these healthy, cheesy snacks that kids will love. If your child can’t eat cheese, try substituting a soy alternative. Tortilla pizzas. Turn a plain old tortilla into a delicious pizza with this recipe. English muffin pizza. Use a whole wheat muffin as the basis for a pizza for a healthier treat. Light string cheese. Kids will enjoy pulling strings of this cheese off and eating them. Low-fat quesadilla. This recipe shows you how to make a quesadilla that’s actually healthy. Vegetable pita pizza. Pizza doesn’t have to be unhealthy. Load it up with veggies instead of fattier options. Cheese straws. This simple recipe lets you make fun, tasty snacks for your kids. Cheese cubes. If you want to go simple, low-fat cheese cubes are a good snack when eaten in moderation. If your child is simply starving, consider one of these pre-dinner, snack-sized meals. Low fat hot dogs and beans. Get a protein boost with this classic snack. Baked potato. Top your baked potato with salsa for an easy and low-cal snack. Soft taco. Filled with veggies or chicken breast, soft tacos can be healthy. Healthy pita. Kids will enjoy filling their whole wheat pita with all kinds of healthy fixins. Turkey wrap. Adults and kids alike can enjoy these healthy snacks. Tuna on crackers. Make a low fat tuna salad and spread it on crackers. Modified PB and J. Try this alternative to the standard peanut butter and jelly. Low-sodium soup. Many soups are loaded with sodium but there are other options out there that can make great snacks. Small omelet. Eggs and veggies mixed together make a perfect after school snack. Whole wheat pasta. Cook the pasta in advance and warm it up with sauce when your kids are begging for a meal. Still searching for the perfect after school snack? These ideas cover a wide variety of foods. Egg boats. Take a hard boiled egg and add a cheese sail to create this nautical treat. Glass of milk. A simple glass of milk can make for a healthy snack. Ham and cheese crepes. Enjoy this French-inspired snack when your kids are feeling peckish. Lean turkey rolls. Turkey is a great snack, and rolled up with cheese, mustard and a pickle it can be a tasty one too. Chocolate soy milk. Chocolate soy milk can help your kids get nutrients but still tastes great. Homemade lunchables. Kids love lunchables but they aren’t always the healthiest option. Cut out small pieces of cheese and meat at home and pair with whole wheat crackers for a healthier take. 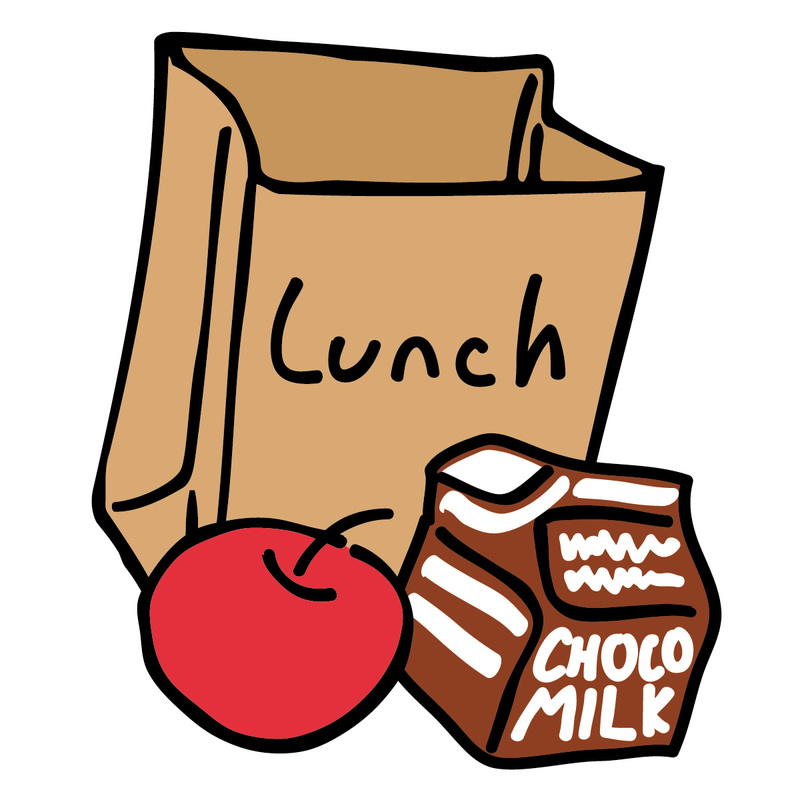 Packing your kids lunches for school is one way to make sure that they are eating the foods you want them to eat. It’s good to pack a nutritious, waste-free lunch, but it’s even better to make sure that the lunch is safe from anything that might make your kids sick. Lunches that sit around for hours in a room temperature locker or cubby need a little extra care. 1. Use a nontoxic insulated lunch bag. It will help keep cold foods cold and hot foods hot. 2. Buy a BPA-free reusable beverage bottle. If a reusable plastic bottle doesn’t say BPA-free somewhere on its packaging, don’t purchase it. 4. Use a nontoxic insulated thermos for hot foods. You’ll get the most out of your thermos if you fill it with boiling water and let it stand for a few minutes before emptying it and putting in the hot soup, chili, etc. 5. The cooler or hotter a food starts out in a lunchbox, the better. A sandwich prepared the night before and stored in the refrigerator until right before it’s time to leave for school will be cooler than a sandwich made and put in a lunchbox an hour before leaving for school. It also means that hot foods should be heated up as to as high a temperature as possible and immediately be put in a thermos right before leaving for school. The timing can be tricky on a hectic school morning, but it’s worth it. 6. Throw away all perishable uneaten food that comes home in the lunchbox. Don’t try to save it for tomorrow. By the end of the school day, even an ice pack or an insulated thermos will have lost its effectiveness. 7. Wash the lunch bag and all containers after each use with hot, soapy water. Please post any additional tips. 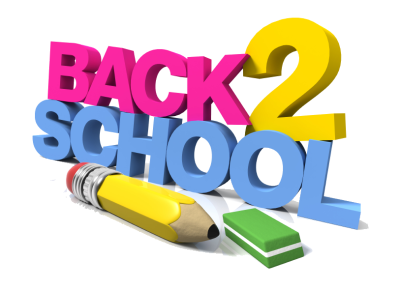 With the start of school, families face new organization challenges. School bells ring–and so do early-morning alarm clocks. Paper piles swell as hand-outs and homework stream into the house. 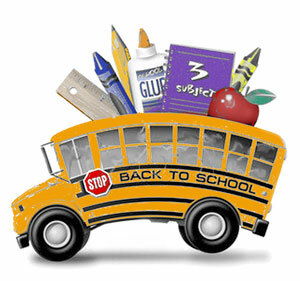 Before school begins, make a practice run to get children to the school on time. If they’ll walk, help them learn the route they’ll take and note the needed time. Car-pooling? Make sure the dry run accounts for early-morning traffic! Bus riders will need to be familiar with the location of the bus stop; print and post the bus schedule to prevent a missed bus. Clean house … fast! Contact MaidPro and have them whip through your household chores in record time. Please post any additional comments!